So you’ve filed your taxes and received your notice of assessment, but now there’s another letter from the Canada Revenue Agency (CRA) in your mailbox with a request to see more of your paperwork. What do you do? Most likely, what you’re looking at is an inquiry notice. If you’ve claimed, say, a medical expense deduction and filed your return electronically, the taxman may ask you to produce copies of the receipts that prove that you’re actually eligible for the tax break in question. All you have to do is have your papers in order and respond by deadline, usually 30 days from the date of the letter. The CRA will disallow your tax break if you can’t back up your claim and may decide to audit you. You should keep your tax records for six years, in case you’re ever the subject of a review. An audit is an examination of your books and records to see if you’ve actually paid all the taxes you owe. The CRA may do a so-called desk audit if it wants to dig deeper into a particular aspect of your return. These examinations are particularly common if you have business income and declared losses or if your return shows real estate transactions. Then there are field audits, in which the taxman will physically show up at your home or place of work. 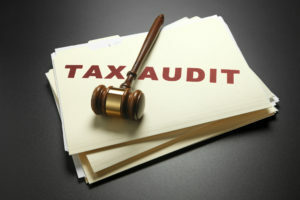 Now, let’s assume you’ve received the dreaded notice that you’re actually being audited. What do you do? The worst thing you can do when the CRA comes calling is pretend you didn’t hear. “You’re going to get audited — there’s nothing you can do to stop it,” Instead, the best thing you can do is get organized and be cooperative in the process. We would first suggest to get professional help as soon as you receive your audit letter. The sooner you get professional advice, the better case you are preparing from the get-go. Still, that doesn’t necessarily mean lawyering up. A tax accountant with the proper qualifications, such as someone with the Chartered Professional Accountant (CPA) designation, should be perfectly able to help you through a simple audit where you claimed what you were entitled to and have the paperwork to show it. However, if there are gray areas in your case, if you haven’t kept your books in order, or if you suspect your accountant messed up, you can turn to a tax lawyer. You might also want to seek legal help if you have a feeling that things are getting off track. One such instance may be when the CRA decides to do a net-worth audit. The agency normally conducts audits by combing through your records and receipts. However, when you can’t back up every detail of your tax return and income situation, the agency might resort to a rough calculation of your net worth. Typically, the CRA will look at a three-year period. Typically, they’ll look at your assets and liabilities on Jan. 1 of Year One, and then compare that to your financial situation on Dec. 31 of Year Three. They may come to an idea of what your living expenses should have been for those three years. If the CRA believes you need $100,000 a year to sustain your lifestyle and finds that you’ve accumulated $200,000 worth of assets on top of that when you’ve been declaring an income of $75,000 a year, you’re in trouble. The problem is, though, that net-worth audit calculations can be “way off. And there’s a risk that auditors will use a net-worth audit as a shortcut, instead of painstakingly combing through the available documents. At the very beginning of the process, ask your representative what you’re chances are. This may sound obvious, but if it’s clear that the CRA is right and you are not, the aim should be to simply rip off the band-aid as quickly and painlessly as possible. Respond to the taxman, admit your error, and pay quickly to minimize interest and penalties. You can usually get a second opinion about your case from a tax lawyer in a one-hour consultation that should cost you between $200 and $1,000. Even if you’ve hired someone to help you through the audit, you can’t wash your hands of it. Especially in the period between May and June, accountants are often swamped, and it’s easy for some things to fall through the cracks, he added. If you aren’t receiving regular communication about the process, follow up in order to make sure things are moving along. At the end of an audit, the CRA will usually tell you in a letter whether it found any mistakes and you owe more tax. You have 30 days to question those findings. The CRA will then take a second look and get back to you. If you still don’t agree with your assessment, you can challenge it in tax court. Before you go to court, however, make sure that the amount of tax in dispute (plus interest and penalties) is worth your lawyer’s fees. You should contact a tax professional, if you have any questions regarding this topic my contact information is below.